Exactly one century ago, March 3, 1913, a massive parade took place in Washington, D.C., one day before the inauguration of President Woodrow Wilson. Although women had been struggling for the right to vote for more than 60 years, the Woman Suffrage Procession was the opening volley in a new major national effort toward women’s suffrage that resulted in women getting the vote seven years later. The Atlantic provides some details. Organized by Alice Paul for the National American Woman Suffrage Association, the parade, calling for a constitutional amendment, featured 8,000 marchers, including nine bands, four mounted brigades, 20 floats, and an allegorical performance near the Treasury Building. Though the parade began late, it appeared to be off to a good start until the route along Pennsylvania Avenue became choked with tens of thousands of spectators — mostly men in town for the inauguration. Marchers were jostled and ridiculed by many in the crowd. Some were tripped, others assaulted. Policemen appeared to be either indifferent to the struggling paraders, or sympathetic to the mob. Before the day was out, one hundred marchers had been hospitalized. The mistreatment of the marchers amplified the event — and the cause — into a major news story and led to congressional hearings, where the D.C. superintendent of police lost his job. What began in 1913 took another seven years to make it through Congress. In 1920, the Nineteenth Amendment secured the vote for women. 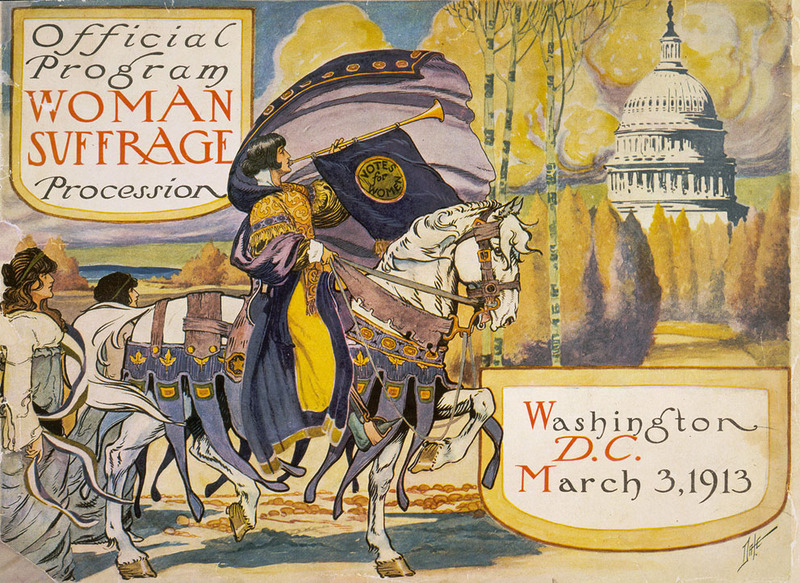 The Library of Congress’ wonderful American Memory site has some fascinating accounts of the event and the amazing women who led the suffrage fight. ← Is the Sequester a Kabuki Dance? They disassemble the software package to its lowest form (assembly). that can be downloaded from all throughout the Web.